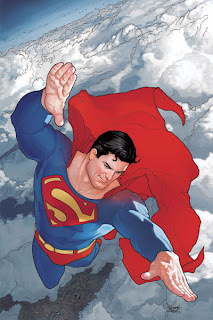 Action Comics, the book that birthed the 'Super-hero' has been without the Man of Steel in it's pages for months now - however that will all change in 2010 as part of the crossover War of the Supermen. The writer charged with bringing Clark Kent home? Green Lantern movie co-writer Marc Guggenheim. With Marc revealing to MTV that he hopes to tell 'quintessential Superman stories' which "doesn't rely upon him only having the powers he currently has or the costume he's currently wearing" the added bonus of this move is that it frees up fan-fav scribe Greg Rucka to script another project for the publisher - hopefully something in the First Wave pulp universe - like Doc Savage perhaps?